Alice Cary (April 26, 1820 – February 12, 1871) was a poet born near Cincinnati, Ohio. 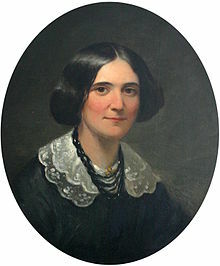 She and her younger sister, Phoebe Cary, co-published poems in 1849. They lived on the Clovernook farm in North College Hill, Ohio. Oliver Johnson, in obituary in The Tribune, quoted in A Memorial of Alice and Phoebe Cary: with some of their later poems (1875) edited by Mary Clemmer Ames, p. 187. This page was last edited on 1 December 2018, at 14:27.